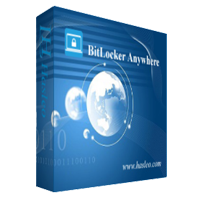 The World's First BitLocker Solution for Windows 10/8.1/8/7 Home Editions & Windows 7 Professional Edition! $14.98 $29.95 The price does not include value added tax (VAT). $19.98 $39.95 The price does not include value added tax (VAT). $399 $499 The price does not include value added tax (VAT). $599 $999 The price does not include value added tax (VAT).